Steon Lighting has now joined The Lighting Industry Association (LIA), Europe’s largest trade association for the UK Lighting Industry and its supply chain. 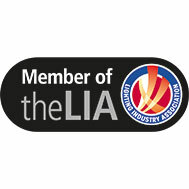 Located at the forefront of the industry and dedicated to promoting best practice throughout the sector, the LIA shares its knowledge and provides a wide range of services for members and the wider lighting industry. Our Lighting Design Engineers are undertaking a number of courses held by the LIA Training Academy in order to continuously develop and further enhance their technical knowledge. Two of our designers have recently completed the Relux course and are now in the process of completing the LIA Certificate Course and the ICEL Emergency Lighting Foundation and Design Course. As a result of becoming LIA members we hope to not only give our customers confidence in the quality, reliability and safety of our products but to highlight that Steon are at the forefront of technical advancements. For more information please visit the LIA Website.